When you pop the top of a Stone Fruit cider, you can smell the refreshing scent of both the peaches and apricots. The flavors are crisp and smooth with just the right amount of carbonation. When you first take a sip, you definitely taste the freshness of the apples and then comes in the apricots and peaches. I love that the taste of peaches and apricots aren't too over powering. Stone Fruit Cider is made with 100% Canadian grown apples and is clear with a hint of yellow. It makes for a wonderful summertime drink, especially for those of you who aren't too big on beer, cider would be perfect for you. It's great to have if you're hosting or going to a barbecue this Summer. Check your local LCBO as the Stone Fruit Cider is now available for purchase! 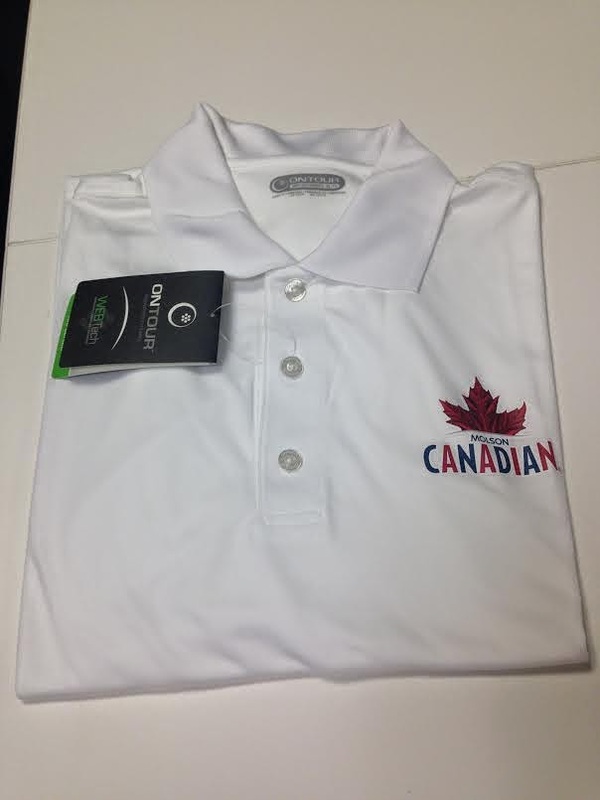 We are giving away two Molson Canadian golf shirts to two Canadian Just Us Girls readers. Be sure to enter below! Disclosure: All opinions are my own. I received a 6 pack of Molson Canadian Stone Fruit Cider at no cost for the purpose of this review. No other compensation was received.